Hope Gel Introduces A New Local Beer Called Hope Hops™ With Profits From Sales Going Toward The Production Of More Hope Gel! Hope Gel Has Been Accepted As An Official Participating Charity By The Amazon Smile Foundation! Learn more. Globally, malnutrition accounts for roughly half of all deaths of children under the age of five, yet only one in 10 severely malnourished children get treatment. That amounts to approximately three million children each year whose deaths are entirely preventable. 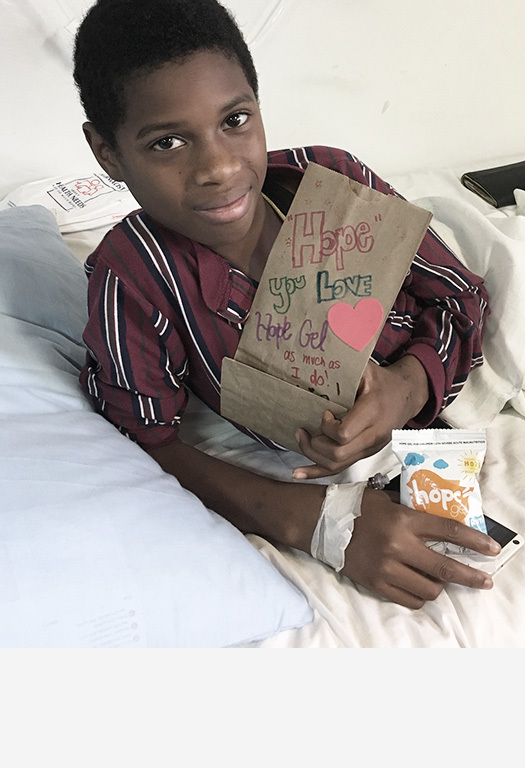 Hope Gel® is a grassroots, non-profit organization that was established to fight childhood malnutrition in Haiti. 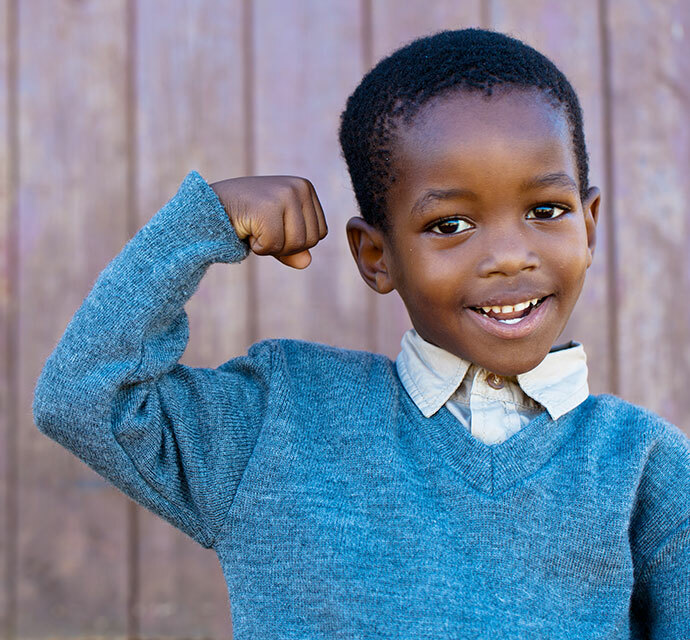 We continually strive to increase awareness for our cause with the endless desire to help at least one more child than yesterday… and then one more, and then one more. We don’t have a specific strategy other than to do whatever we can to produce more Hope Gels and increase our distribution outreach. Through our wonderful partnership with Food For The Poor, the distribution of Hope Gels has expanded throughout Haiti and in Guatemala. This is only the beginning and we have so much work to do, so please help in any way that you can, whether by mentioning Hope Gel through social media, a donation if you can, or just spreading some good thoughts, a smile and of course, some Hope! Haiti is the poorest and least developed country in the western hemisphere. It has a population of 8.4 million, almost half of which are children. 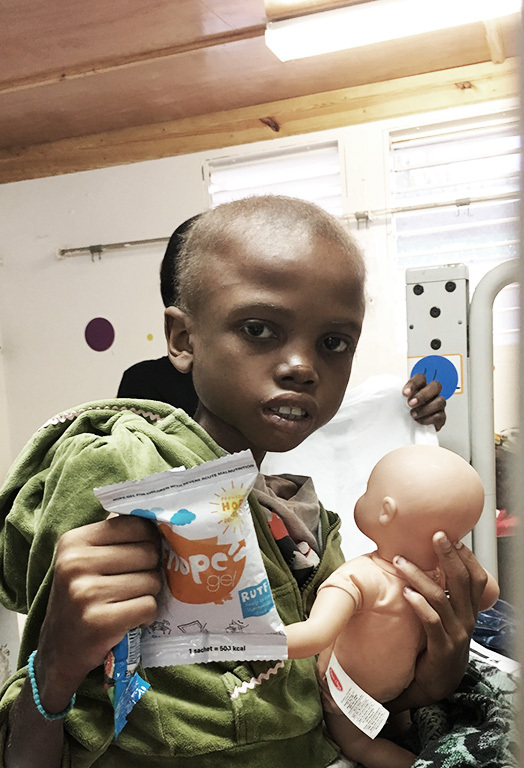 Malnutrition is the number one cause of death among children under five in Haiti, impacting 1 in 3 children under age five. We are grateful to share our cause with these generous partners.